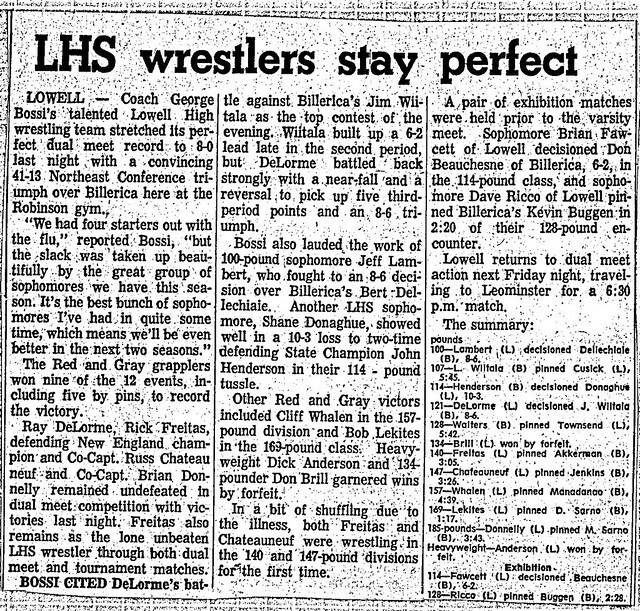 A capable and’ accomplished 3 sport letterman for Lowell High School, it was as a member of Hall of Fame Coach George Bossi’s Wrestling team that Russell Chateauneuf made his most significant impact for the Red and Gray. 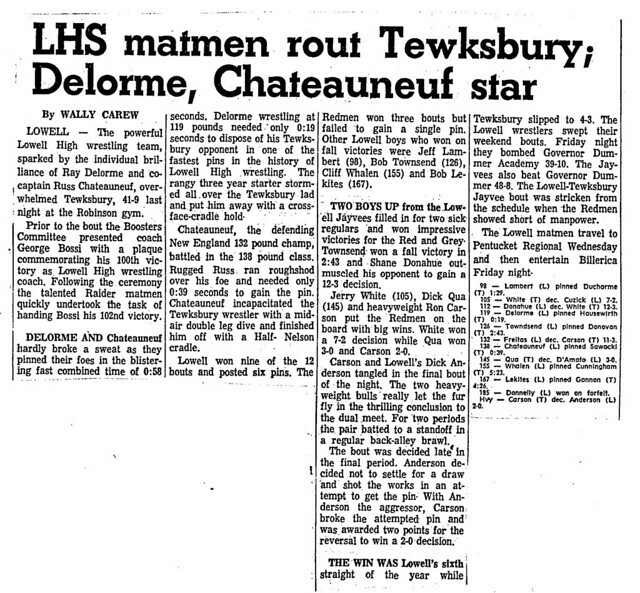 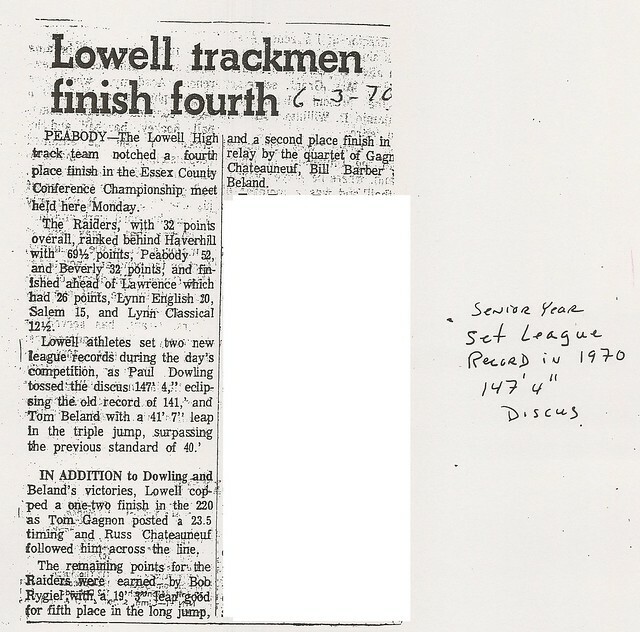 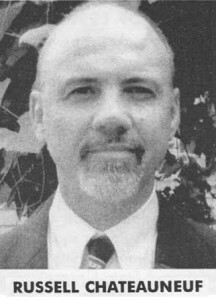 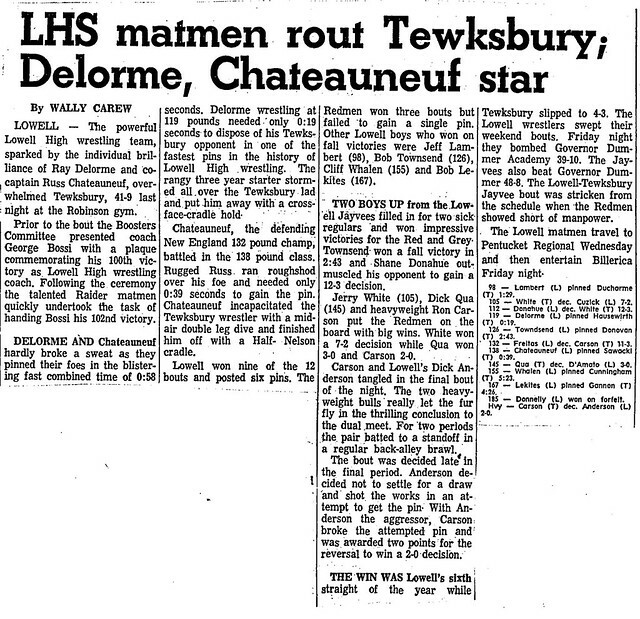 As a member of the Lowell High Track team, Russ was an outstanding sprinter who medaled as a member of the Raiders’ 4×220-yard relay team at the Massachusetts State Championships in 1971. 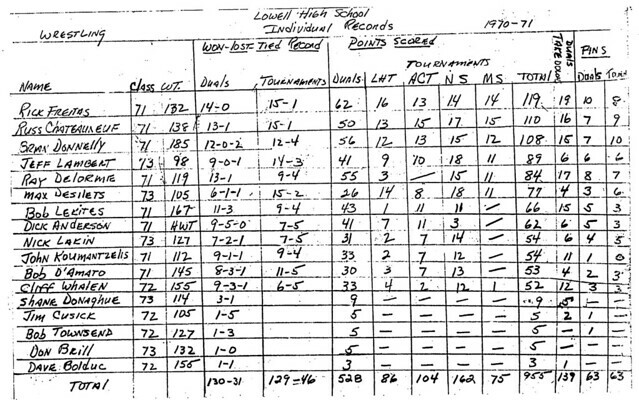 Russell was also a valuable special teams performer on the undefeated Lowell High Football team in 1970. 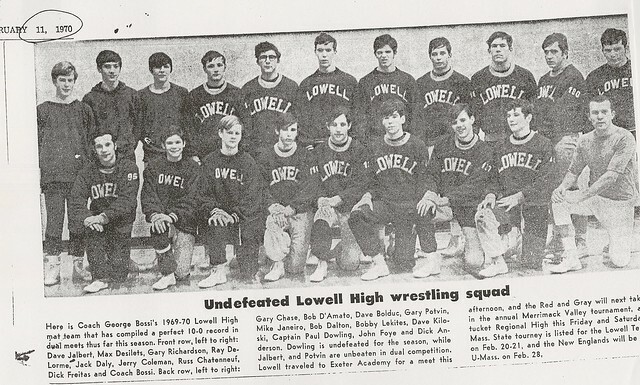 It was as a member of the Red and Gray Wrestling team, however, where Russell earned his place in the history of Lowell High School Athletics. 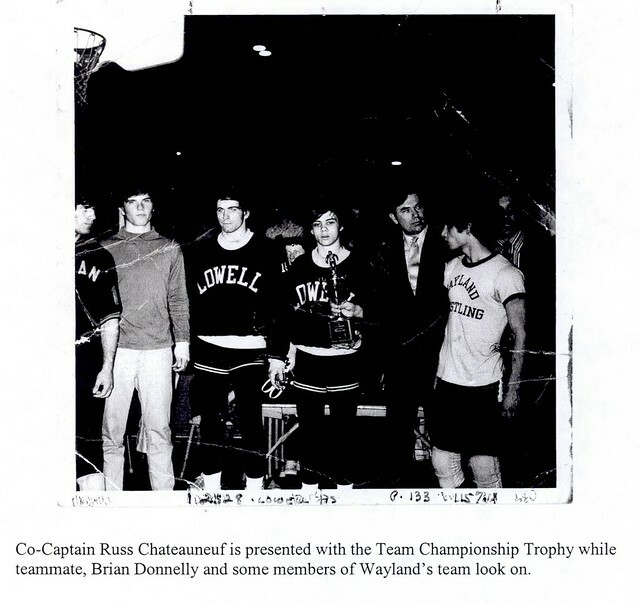 A three-year varsity performer for Coach Bossi, Russell stepped into the limelight during his junior season (1969–70). 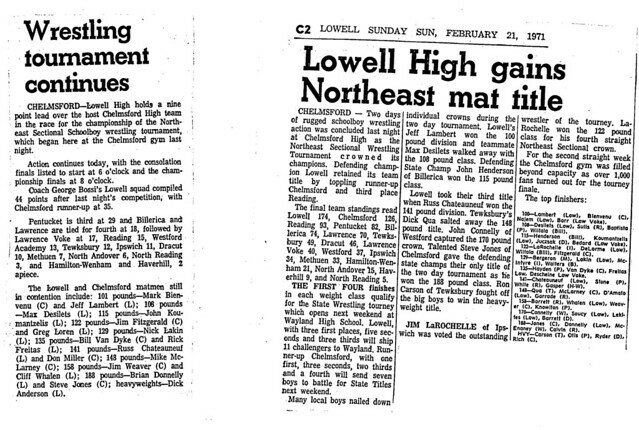 Compiling an overall individual record of 23–3, Russell won the Northeast Sectional Championship before placing 2nd at the Massachusetts State Championship Tournament. 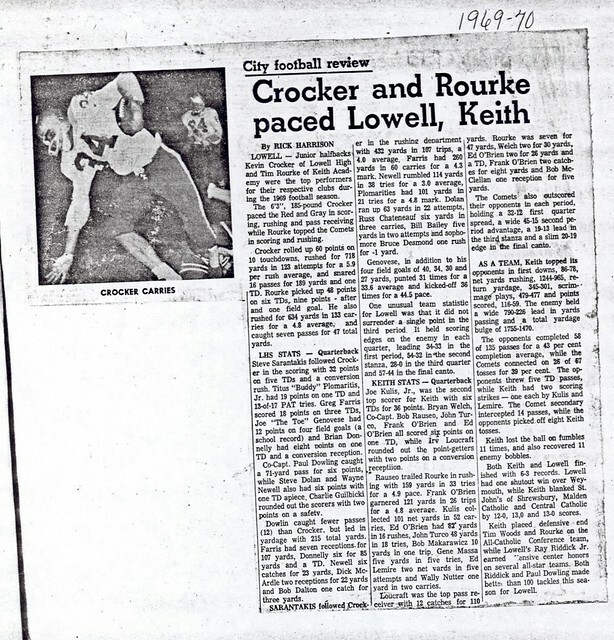 He atoned for that runner-up finish by winning the New England Championship at 141 pounds as the Red and Gray won the New England Team Championship as well. 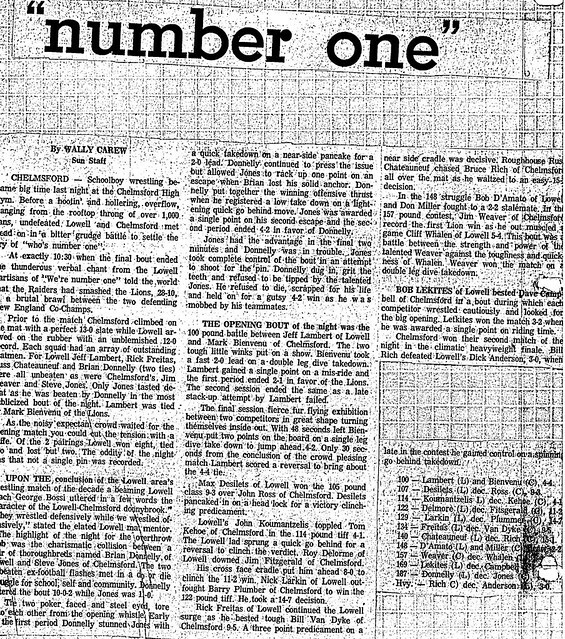 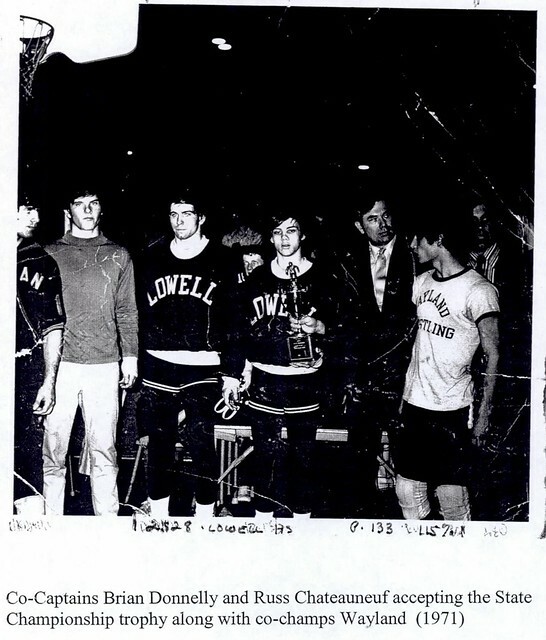 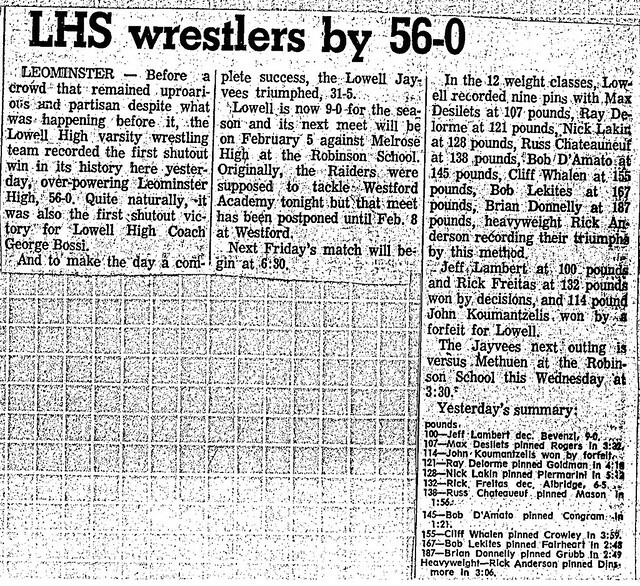 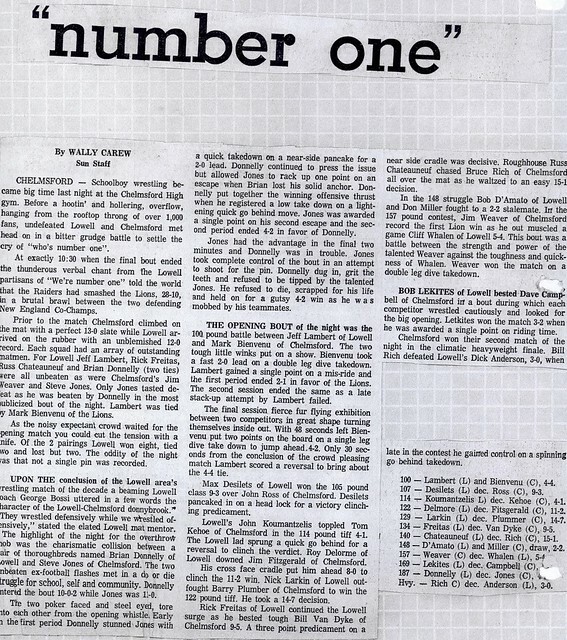 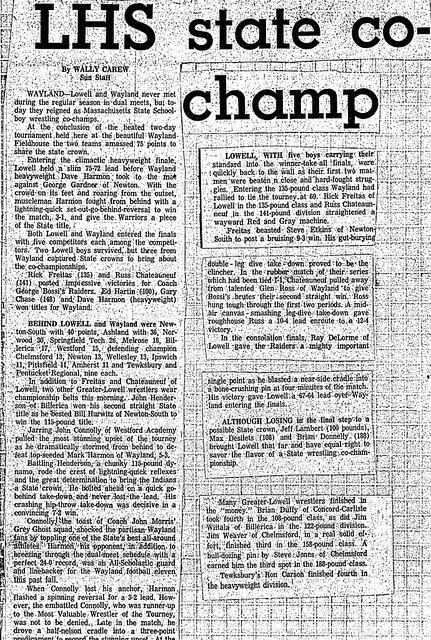 As a senior Co-Captain in 1970–71, Russell compiled one of the truly outstanding seasons in the long and storied history of Lowell Wrestling. 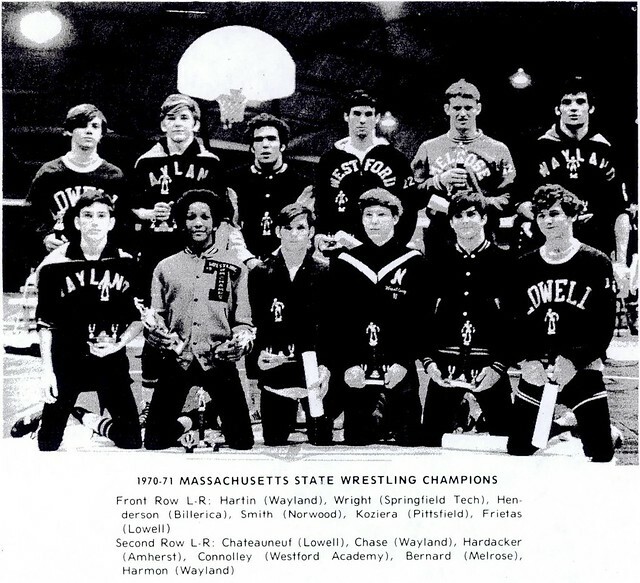 With an overall record of 28–2, Russell won Championships at the Amherst High Holiday Tournament, the MIT Open Holiday Tournament of Champions (open to college as well as high school wrestlers), the Northeast Sectional Tournament, and the Massachusetts State Championships (as Lowell won a team State Co-Championship) at 141 pounds. 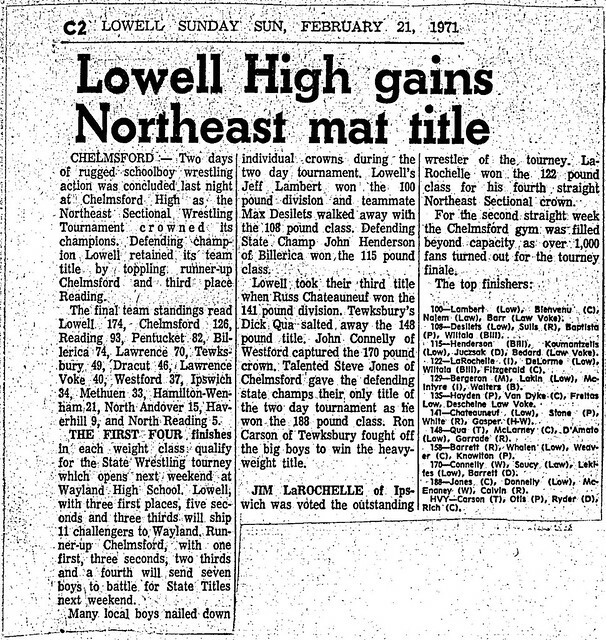 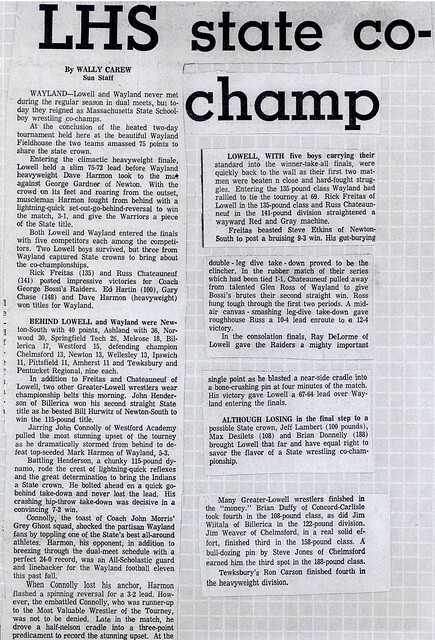 Only Lowell’s non-participation at the New England Tournament prevented Russell from contending for a 2nd consecutive New England Championship. 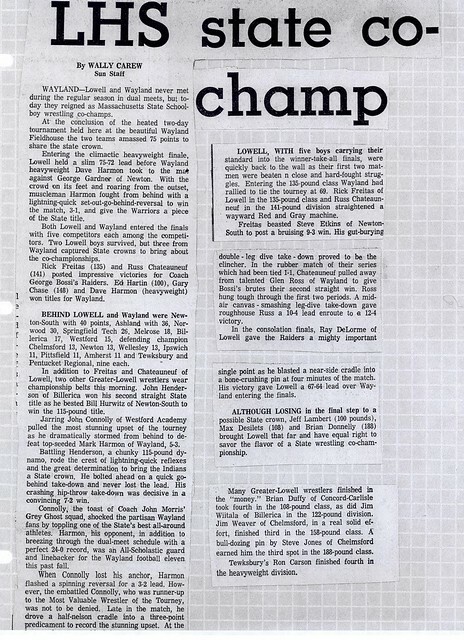 Among the post-season accolades bestowed on Russell was Honorable Mention All-American honors by the Scholastic Wrestling News. 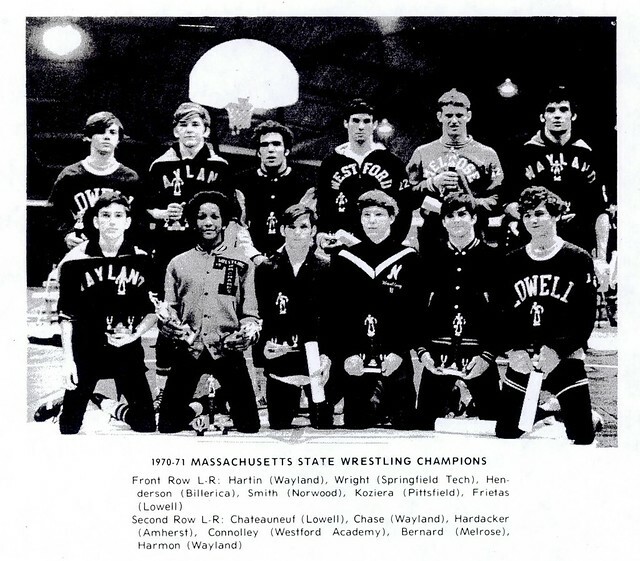 After graduation Russell attended University of Massachusetts, Amherst, where he continued his wrestling exploits under Coach Homer Barr. 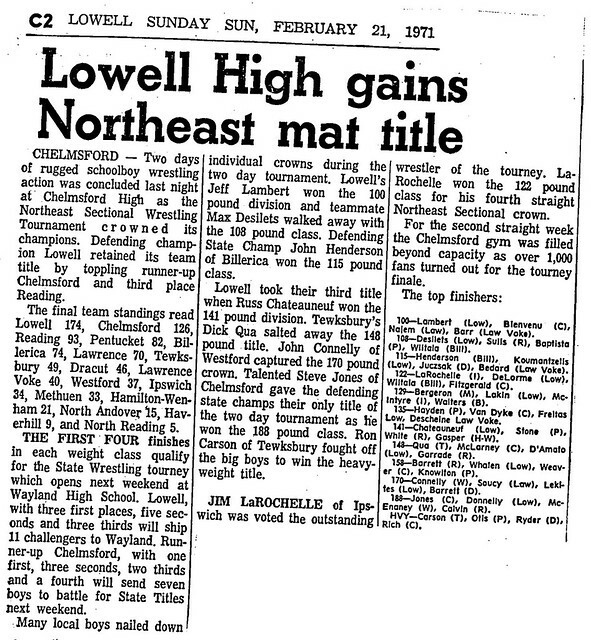 Russell was a 2-time New England Intercollegiate Champion (1972 and 1974). 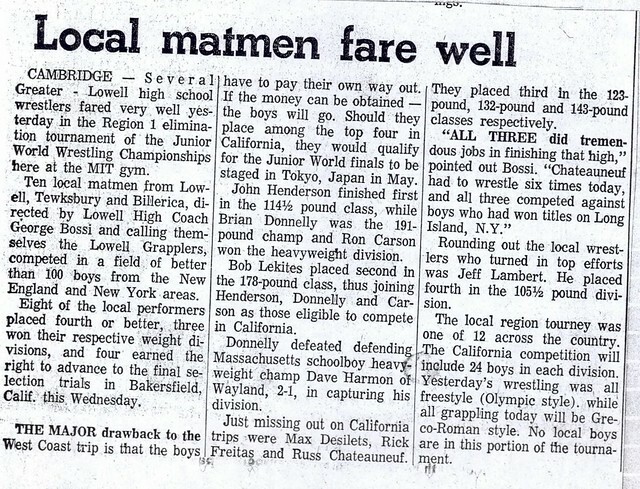 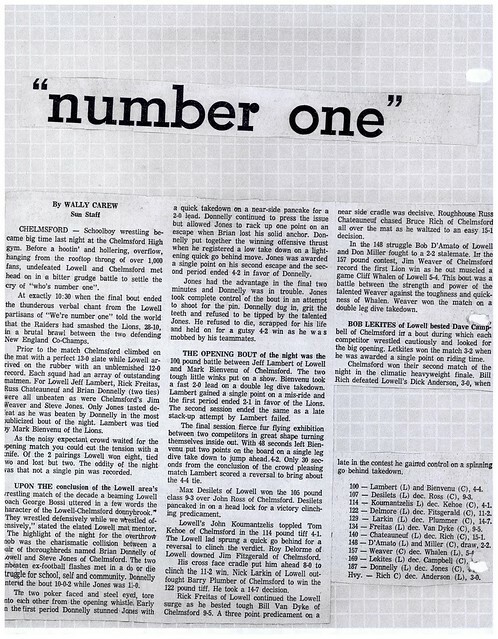 At the Division I NCAA Wrestling Tournament in 1974, Russell actually led the defending champion in his weight class 5–0 before losing a competitive match. 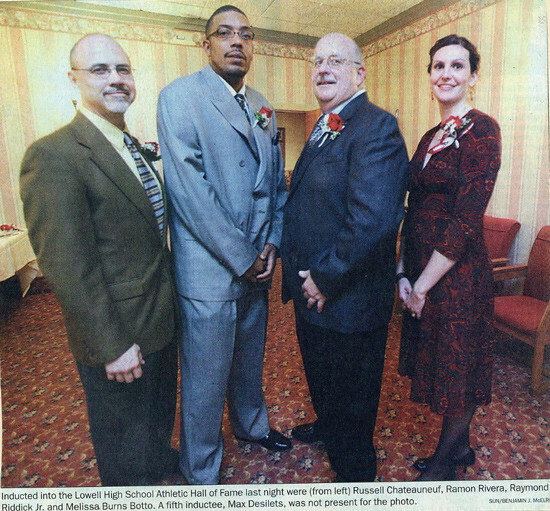 Russell joins Coach Bossi and many of his former teammates in the Hall of Fame, including another of tonight’s inductees, Max Desilets.